Whether you require a standard service, MOT repairs or one of our upgrades, we can offer a highly personal dedicated and unrivaled service for your Alfa Romeo Montreal. 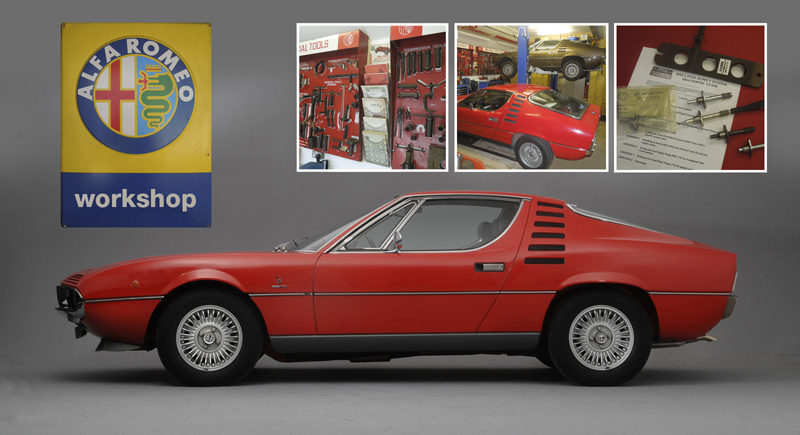 We have a fully equipped workshop enabling us to service and maintain your Alfa Romeo Montreal. Our facilities include original factory service tools accompanied by 2 post and 4 post service lifts as well as Mig welding and Soda blasting for repairs and refurbishment. We always use the best quality components available for all our servicing.